TIE is thrilled to announce our next TIE candidate. Ed Richards is an Account Director at Leo Burnett and he will be going out to work with Edificio Ecologico in March 2009. Ed started at Leo Burnett as a work placement in March 2002, before joining the Graduate Recruitment Programme in October of that year. For the next 4 years he cut his teeth on the fast-paced McDonald’s account, working on both their adults and kids & family sides of the business. For 2 of those years he managed their pan-European Happy Meal advertising programme. In his first year he was also involved in a direct marketing project for Kellogg’s, and more recently he worked on an integrated launch campaign for an online gaming company called Doof. Ed is currently working on the international SABMiller account, specifically for Miller Genuine Draft. His responsibilities include delivery of an integrated, through-the-line global campaign that will run across a large number of markets and launch MGD’s new global brand positioning. Prior to that his focus was on Government business, and for 2 years he worked on the Learning & Skills Council account…and recently launched a very successful, integrated campaign for the Education Maintenance Allowance. He also looked after another LSC brand called the Adult Learning Grant. Previously Ed worked on the Home Information Pack campaign for the Office of the Deputy Prime Minister, where again he was responsible for delivering an integrated, through-the-line campaign, with a large digital element to complement the above-the-line activities. Outside of work Ed has a passion for travelling. He finds enormous reward exploring foreign lands and cultures and only wishes he had time to visit the more distant parts of the earth. 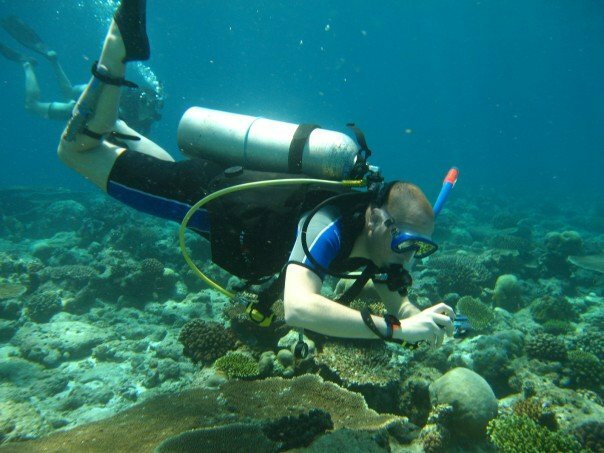 Ed is also an advanced open water diver, and wherever the opportunity presents itself, will explore the fascinating marine life that can be found in our great oceans. He also has a passionate interest in film and music, as well as what could be considered an unhealthy obsession with performance cars. In his spare time Ed is involved in the ‘Reading In Schools’ programme, and voluntarily helps out those kids who have fallen behind in their reading classes. After taking a GAP year, during which Ed spent 6 months working for a charity in Israel teaching under-privileged Arab kids English, he studied Geography at Newcastle University where he graduated with a 2:1 with honours.